The LBCA series is an all steel, closed style, Inch series recirculating round rail linear bearing. 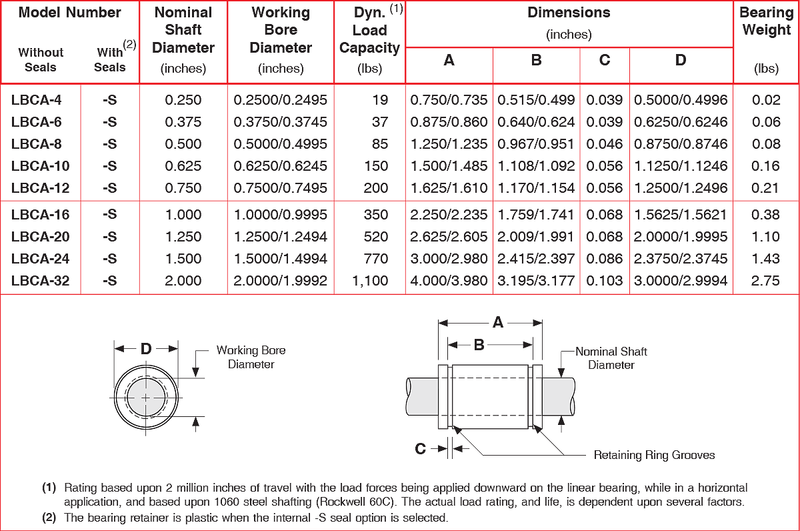 These bearings are used in lower load applications where self alignment is not required. The all steel construction allows for smooth operation in high temperature applications. These bearings are typically used with the Lintech SS series precision linear shafts.